It’s the 4th of July weekend so we’re lighting the fireworks for our weekend music thread with songs about America! Whether they’re complimentary, critical, or celebrational, share the songs that are about America to you. They can be about regions, cities, states, politics, social issues, it’s all part of and reflective of America and the freedom Americans have. 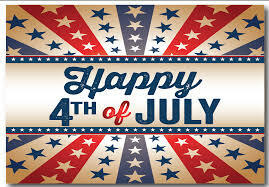 So turn on the barbecue and baseball games, have a hot dog and a slice of apple pie and have a great 4th of July! Happy 4th of July from PlanetPOV! Where America began for so many millions: Ellis Island.